Do you really know who serves breakfast in Pittsburgh? Some names you may recognize, some may come as a surprise. 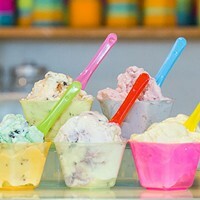 Here are some recommendations that will appease that A.M. craving. 335 E. Main St., Carnegie. Bacon. Need we say more? 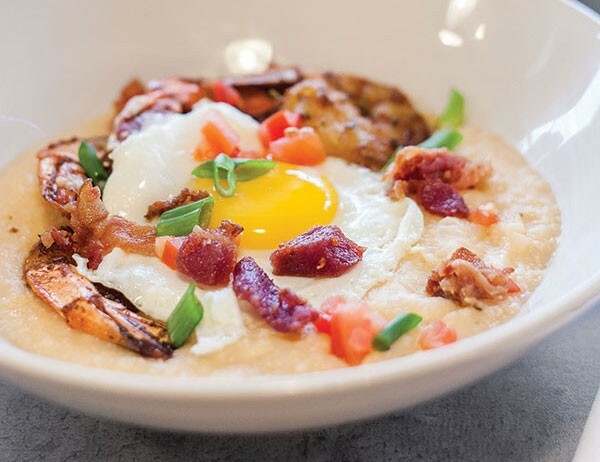 Come try the Bakn-stuffed ‘cakes or pan-seared shrimp and grits signature breakfast item. 711 Washington Road, Mount Lebanon. Bistro 19 goes above and beyond when it comes to Sunday Brunch. Choose from various menu selections such as prosciutto-and-gruyere panini, chicken-salad croissant and bananas-Foster pancakes. For those searching for classic breakfast dishes, Bluebird Kitchen is the right place for you. 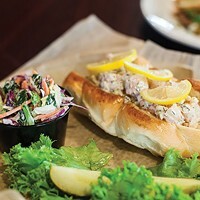 Items such as “Chicken & Waffles,” biscuits and gravy, and pastrami-cured salmon on a house bagel top the list. 740 E. Warrington Ave., Allentown. This cozy family-run café serves up breakfast combos such as the “greedy guy” and fresh omelets served with home fries. 1501 Preble Ave., North Side. This Café and Cakery makes breakfast available all day long. Try the egg, Portobello and cheese sandwich any time of the day! Stop by Ciao for a quick, casual breakfast in a vibrant atmosphere. Try the bacon, egg and cheese panini or Belgian waffle. Top off your meal with a chai latté, Frappuccino or espresso. Add something different to your breakfast routine by stopping at Coca Café for dishes like herbed-goat-cheese-stuffed French toast or the wild mushroom omelet. 1718 Mount Royal Blvd., Glenshaw. Enjoy one of the many breakfast dishes, hot sausage belly buster 3 egg omelet or the home-made potato-pancake breakfast. Or be sure to try the Capt’n Crunch French toast to sweeten the deal. 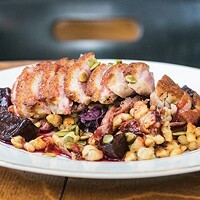 Located in the heart of Downtown, The Commoner serves up a multitude of offerings like the Edinburgh breakfast or pub toast. Top it off with a Wild Child juice. Not sure what you’re hungry for? Try unique brunch options like the Italian swine omelette, fried chicken and waffles, or huevos rancheros. 2516 E. Carson St., South Side. Who knew you could get breakfast at an Italian restaurant? Try the create-your-own frittata or the bananarama specialty waffle. 1737 E. Carson St., South Side. Serving up coffee, smoothies, pastries and build-your-own-egg sandwich, how can you go wrong? Pair your sandwich with a latté or mocha from the espresso bar. Invigorate your taste buds with this restaurant’s flavorful breakfast menu. With dishes like the Iron City skillet and the San Francisco omelette, your taste buds will thank you. Enjoy fresh ingredients and some spice in your life with the monster breakfast burrito or try the Spanish omelette topped with special sauce. 1025 Lebanon Road, West Mifflin. Stop by for some of the best breakfast food in the Pittsburgh area! Enjoy buttermilk “mancakes,” or the Port Authority protein punch, and don’t forget the grilled cinnamon roll. 6018 Centre Ave., East Liberty. This friendly Parisian restaurant serves up a sophisticated brunch with a French flair. Try dishes like Quiche du Jour or Steak Hache and egg. 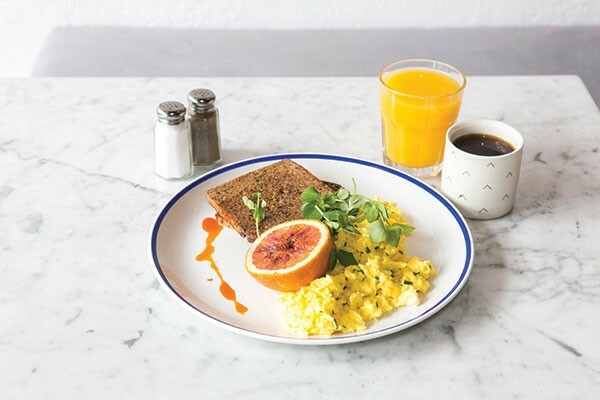 This café uses fresh and organic ingredients, which makes them a number-one spot for breakfast foods. Start off your day with the acai bowl or the immunity fireball elixir. Craving breakfast food in the afternoon? Stop by Red Oak Café, where breakfast is served all day. Enjoy the Bloomfield egg scrambler paired with a smoothie or juice from the fresh juice bar. A cozy two-level coffee shop serving up breakfast items such as pastries and sandwiches. Enjoy a skinny latte, cappuccino or one of its famous teas. Oven-baked frittata, sunrise burger and the Greek breakfast wrap are just some of the tasty menu items at this Uptown spot. If you’re looking for a Sunday brunch that consists of biscuits and gravy, a Bloody Mary bar, French toast sticks and pizza, you’ll feel right at home at this trendy pizzeria. Stop by this Downtown eatery for fresh juices, unique vegetarian options and heavenly sweets. Try one of the breakfast specials like the chorizo and sweet potato-hash. With the menu changing frequently because of availability of local ingredients, The Vandal only works with local companies to produce dishes such as schnitzel, the AM burger and beignets. Stop by Wallace’s Tap Room for delicious breakfast dishes like the griddle cakes, omelets, yogurt parfait and buttermilk stuffed toast. Breakfast is served all day at this Downtown deli. You can make your own breakfast sandwich or wrap. 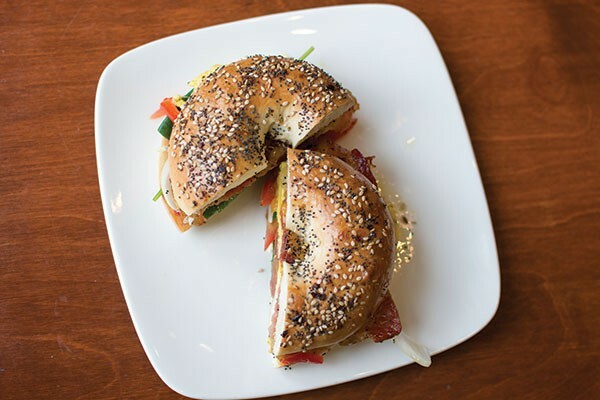 Try the smoked salmon, capers and red-onion skinny bagel.